 Is There Such A Thing as Pseudo-Theosophy? Be sure to click on categories above or scroll down to the very bottom of this webpage to see all 100+ articles & resources listed!  Where Are They Now? 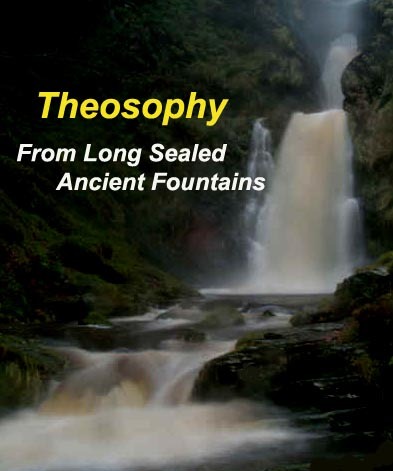  Does Theosophy Have Core Teachings?  "Bear Witness! ": Who Was the Real H.P.B.?  Special Issues of Sunrise Magazine on H.P.B.  Why Take Blavatsky Seriously?  Foundations of Esoteric Philosophy from the Writings of H.P. Blavatsky.  "Theosophical Society" and "Theosophy". Reprinted from The New International Encyclopaedia, Volume 19 (1906).  "Theosophy". Reprinted from The New Schaff-Herzog Encyclopedia of Religious Knowledge (1914).  "Theosophy". Reprinted from The Catholic Encyclopedia, Volume 14 (1912).  At the Solemn Moment of Death: Dying & Soon After by H.P. Blavatsky & Mahatma K.H. Is There Such A Thing as Pseudo-Theosophy?  Study Course on "The Secret Doctrine"
 "Space is the One Unity throughout its infinitude...."
 "Concentrate on the Master as a Living Man inside you."  Studies in "The Voice of the Silence"